What is that gap between your teeth? The space or gap between teeth can be present between any two teeth in the mouth but it usually occurs between the upper frontal teeth. A dentist calls this issue diastema. This condition is usually caused by variation in the size of the jaw bone and the actual size of the teeth. This mismatch can either lead to overcrowding teeth or spaces between teeth. Gaps between teeth can also have other causes which can be prevented: thumb sucking is a common cause in individuals who develop a gap between their frontal teeth. Children can be taught not to do so and parents can talk to a dentist early on to make sure that they can prevent such issues. Diastema is treated using an orthodontic treatment. Regardless of the cause for this condition, patients will seek help in order to get a more appealing smile. Braces are commonly used for treating the gap between teeth. A permanent set of braces can be worn both by children and adults alike. This is done in order to control the movement of the teeth overall: both the upper and lower ones, in order to ensure that the final result is harmonious and there are no more mismatches. Spaces between teeth can also appear as a result of teeth loss. Dental implants are used in this case to fill in the missing spaces. Another solution for diastema is oral surgery, but only in some cases, for example treating periodontal diseases or is a labial frenectomy is needed. You can call a dentist as soon as you notice a space forming during brushing or flossing. If your child shows signs of diastema, you should schedule an appointment as soon as possible, to treat any existing problem. A child can be evaluated by an orthodontist by age 7, to make sure that there are no problems with the permanent teeth. 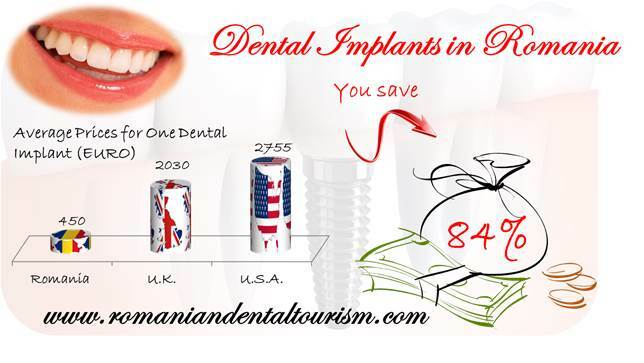 Our dentists in Bucharest can offer you the best solution if you suffer from gaps between teeth or any other dental problem. 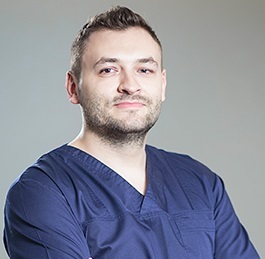 Contact our experts if you want to know more about what our dental clinic has to offer.